The Hohenstein Group is bringing its newly designed booth to this year’s Techtextil/Texprocess trade show in Frankfurt at hall 3.1, B21. 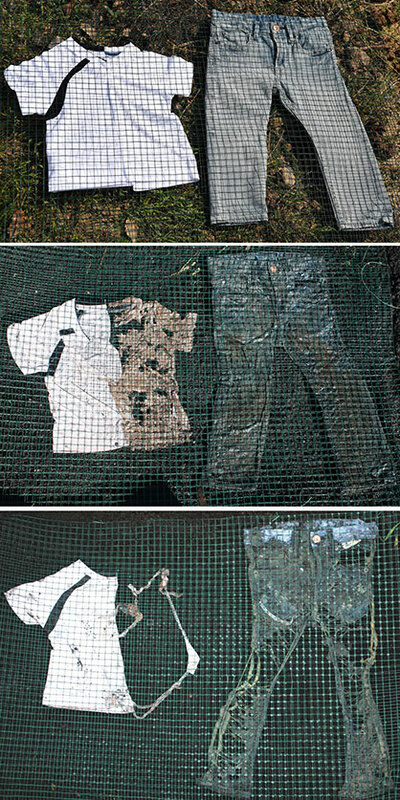 Exhibits on the subject of the biodegradation of textiles will be one of the key focuses of our presentation. Experts from our Development and Services departments will be available for personal discussions with trade show visitors, both at our booth and then at a total of five specialist presentations as part of the Techtextil symposium and Texprocess forum. The cutting-edge booth design and selection of featured trade show highlights demonstrate the unique intertwining of practice-based research and tailor-made services derived from it for the textile industry and other business sectors that the Hohenstein Group has offered from one single source for more than 70 years now. The experts at Hohenstein have a passion for textiles, accompanying their customers from the product concept stage to achieving success on the market – through commissioned research, laboratory testing, certifications, product labels and even providing expert consulting and training. The biodegradability of textile products is becoming an increasingly important factor in assessing their sustainability, focussing not just on manufacturing and product safety, but on what happens to a product once it reaches the end of its useful life cycle. At the trade show booth and at the Texprocess forum organised by the Dialog Textil-Bekleidung (DTB), a team of Hohenstein experts will present an internally developed test procedure for assessing the biodegradation of textiles and demonstrating the marketing opportunities provided by certification and product labels. Hohenstein scientists are currently involved in a collaborative project to develop protein-based water and dirt-repellent finishing agent to provide an alternative to hydrophobic processes using fluorocarbon chemicals (PFC), which are still in common use. The aim is to functionalise textiles in a stable, economical and sustainable way using fungal proteins produced with biotechnology as a replacement for per- and polyfluorinated hydrocarbons that are potentially dangerous to humans and the environment. As part of a ZIM research project, the researchers at Hohenstein are currently developing a thermoelectric cooling bandage for mobile cold therapy for acute injuries and post-operation treatment. The difference from conventional cooling systems such as cool packs or compressors is the controlled, constant and moderate cooling involved, which prevents cold injuries up to and including frostbite. An important key focus of the project is the composition of layers of flexible textile and polymer materials with high thermal conductivity with the integration of electronic components in mind. Following on from the Greenpeace Detox Campaign and the Roadmap for the Zero Discharge of Hazardous Chemicals (ZDHC) Initiative, the subject of responsible chemicals management in companies along the textile chain has recently been growing in importance and priority as a means of excluding identified harmful chemicals from production by 2020. Using the OEKO-TEX® modular system of certifications and tools for increased sustainability as a basis, Hohenstein provides companies with solutions for incrementally optimising their chemicals management systems to meet these market requirements successfully. Hohenstein is providing its expertise in the area of pattern making techniques and fitting tests as a contribution to the lecture on “Issues with Fitting in Online Trade”. Nowadays, experienced clothing technicians provide individual support for many renowned companies in developing clothing with the optimum fit. The latest findings from research projects and serial measurements performed by the Hohenstein Institute are constantly being incorporated into the wide range of services on offer. Some of the most recent findings, for instance, include the latest data on breast volumes for women, enabling further improvements to be made to bra cup sizes.